I'm Staying with My Boys is a firsthand look inside the life of one of the greatest heroes of the Greatest Generation. Sgt. 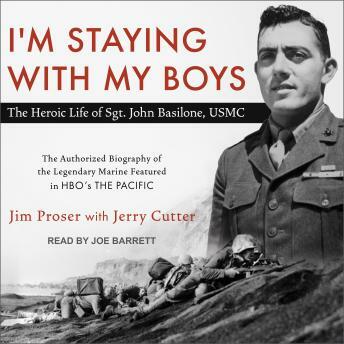 John Basilone held off 3,000 Japanese troops at Guadalcanal after his fifteen-member unit was reduced to three men. At Iwo Jima he single-handedly destroyed an enemy blockhouse, allowing his unit to capture an airfield. Minutes later he was killed by an enemy artillery round. He was the only Marine in World War II to have received the Medal of Honor, the Navy Cross, and a Purple Heart and is arguably the most famous Marine of all time.